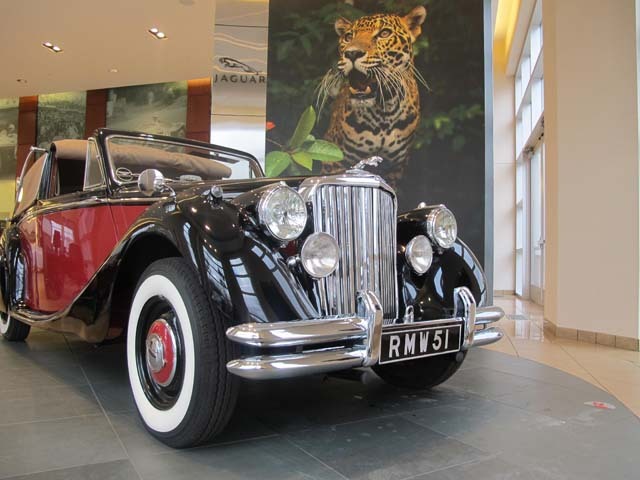 A post war Jaguar with a pre-war look. 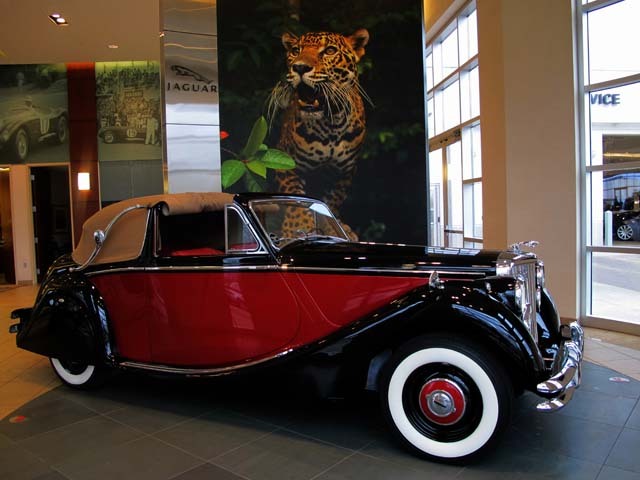 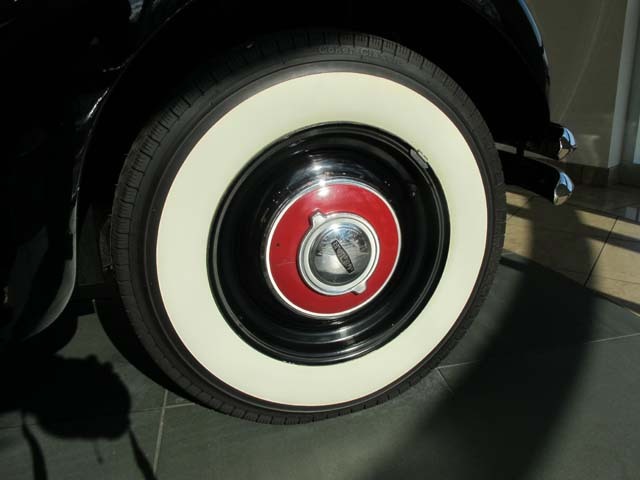 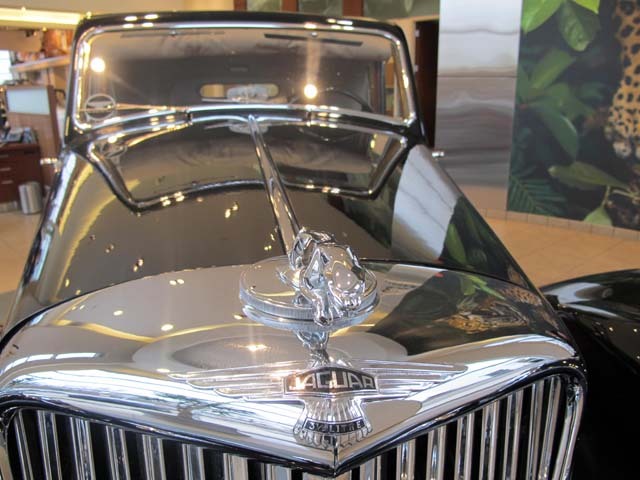 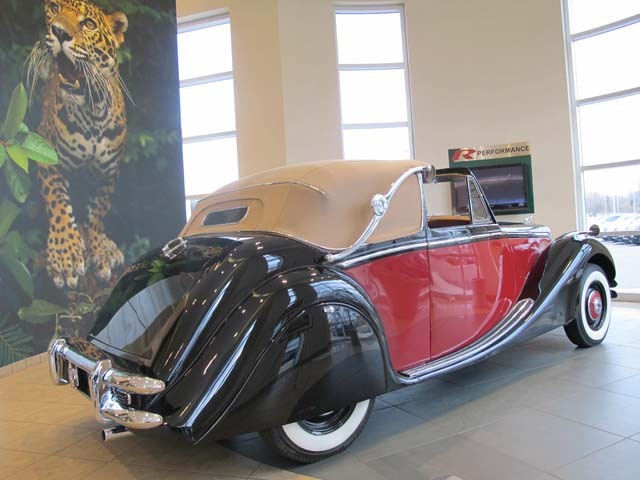 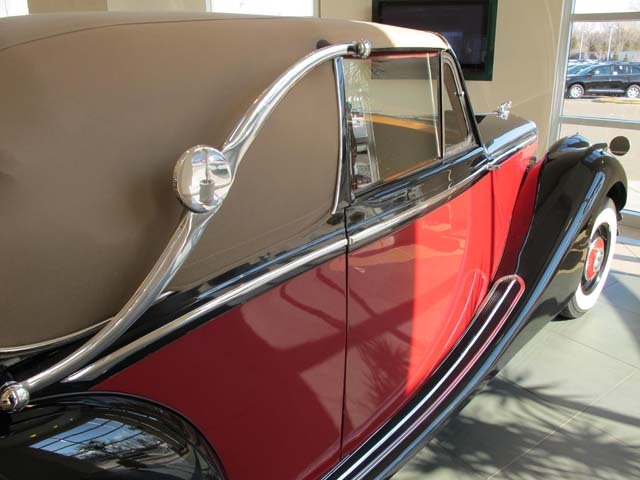 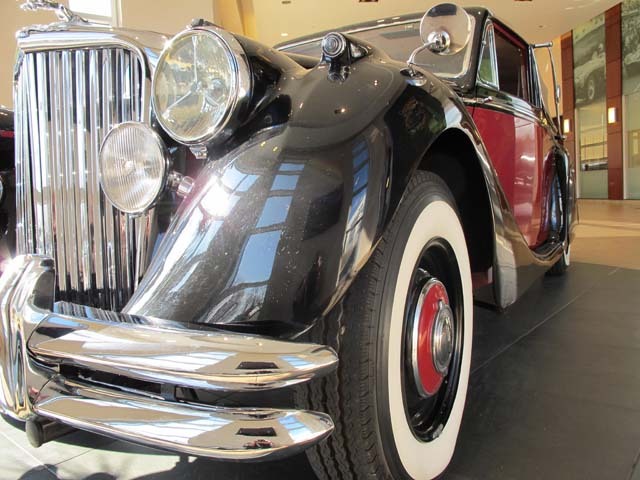 Taking you back to an era of elegant motorcars unmatched by any of today’s vehicles. 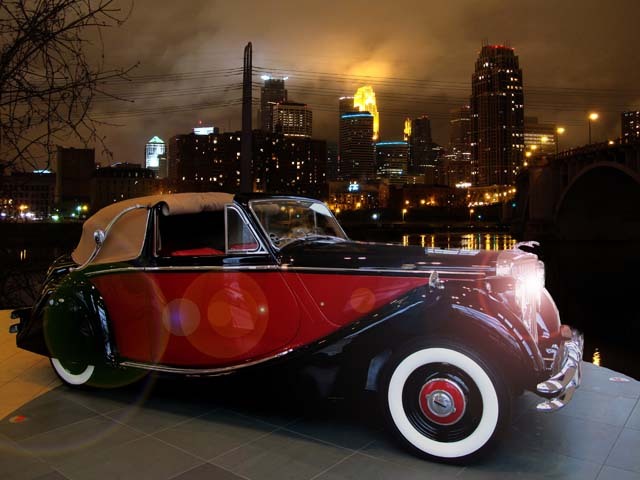 Driving this car was as much of a statement of success as was wearing high fashion clothing and fine jewelry. 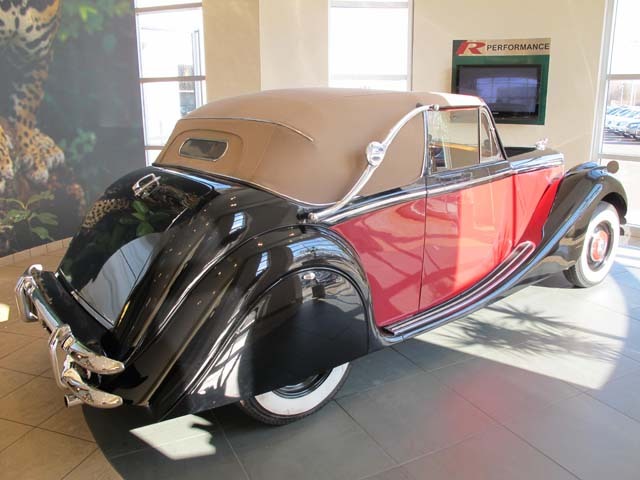 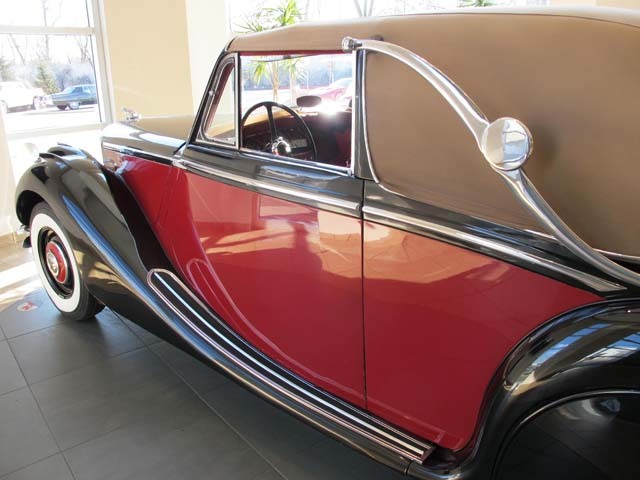 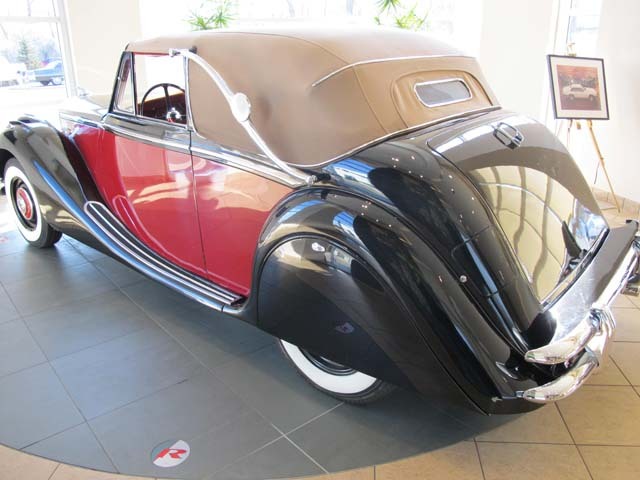 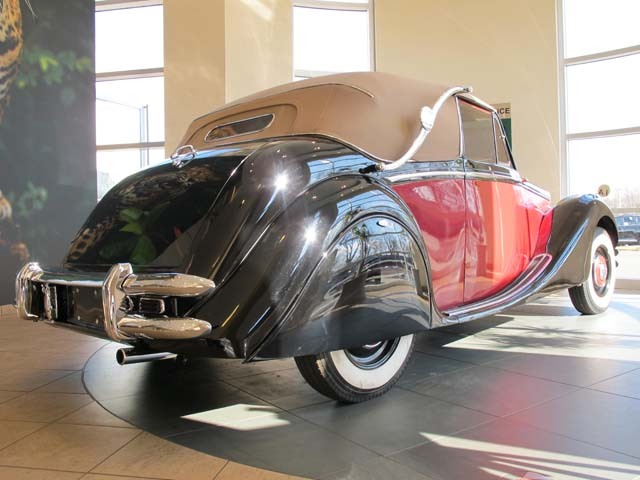 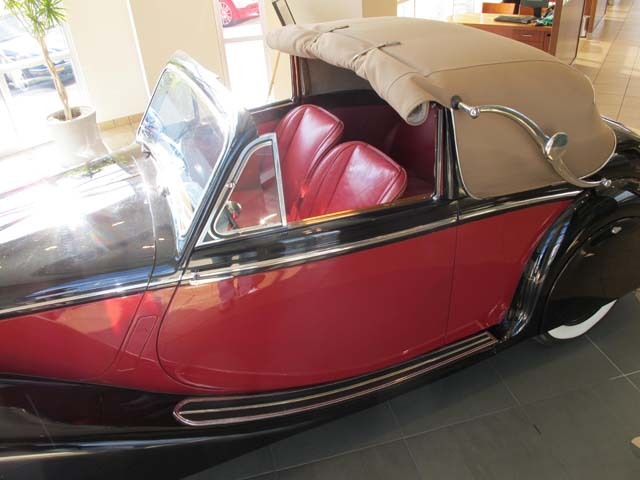 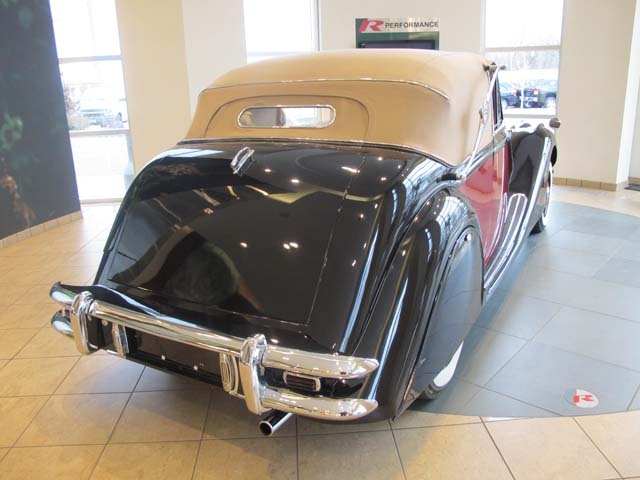 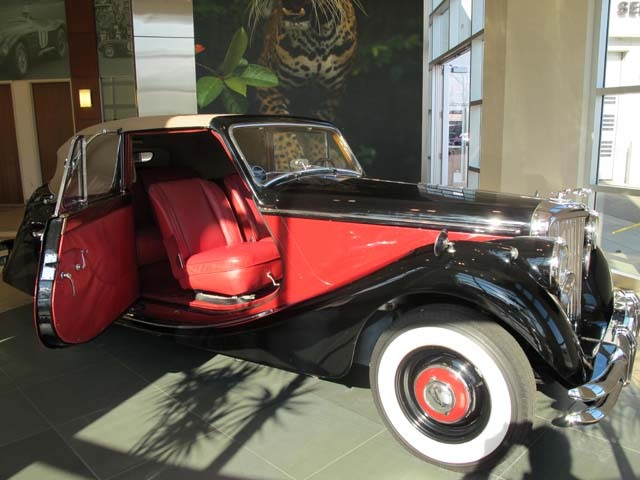 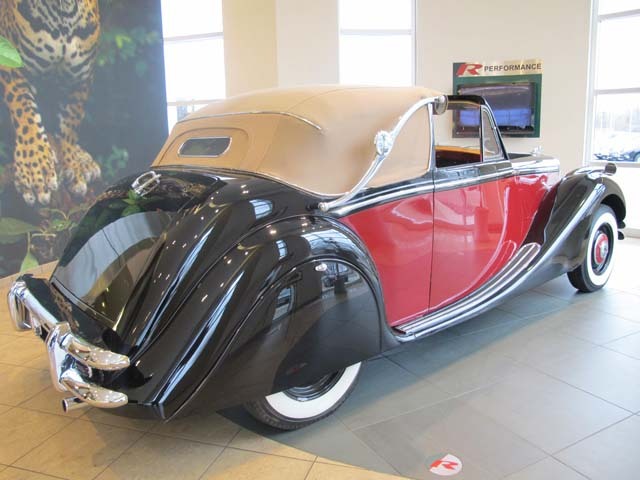 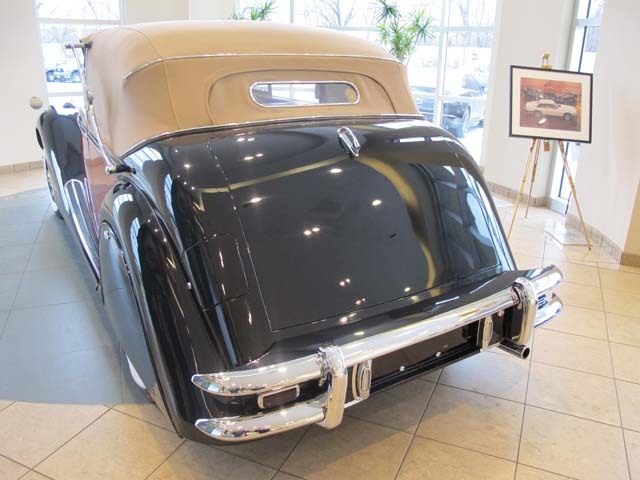 The features that define this superb classic include suicide doors, full leather interior, full wooden dash, wood trim front and rear, 3 position convertible top with full insulation and headliner giving it a luxurious look and feel. 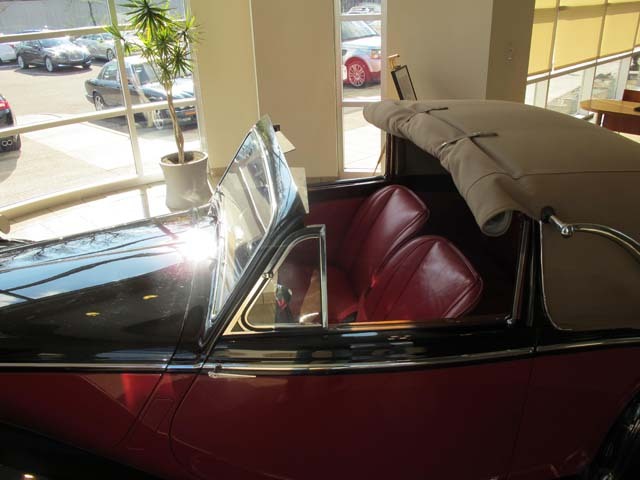 This car has the larger 3.5 Liter engine with a 4 speed manual transmission. 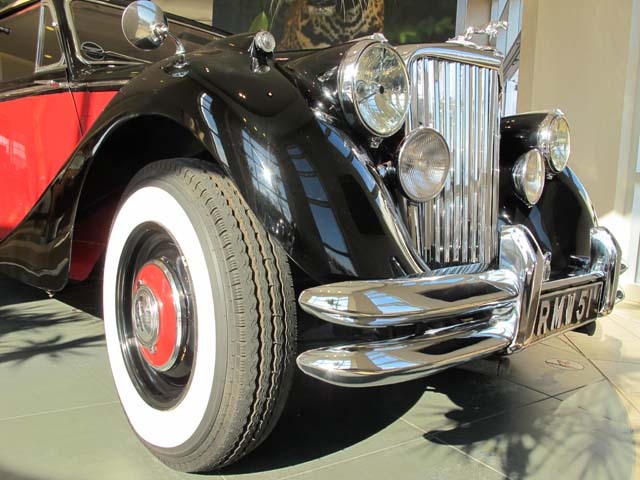 The later Mark Vll Jaguar suspension was pioneered on this model giving it ride of the future and the look of the past. 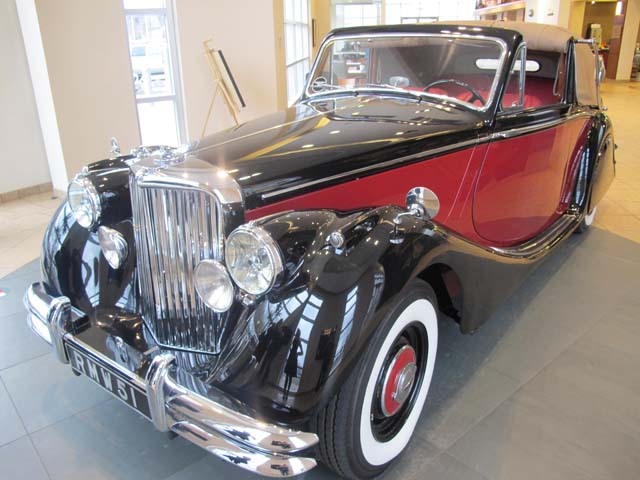 This car was restored 10 years ago a very high standard. 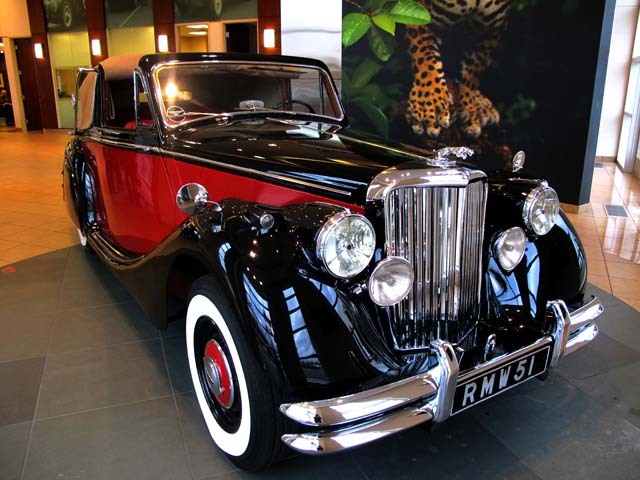 The stunning color combination makes this car stand out even amongst the most elegant of classic Motor Cars. 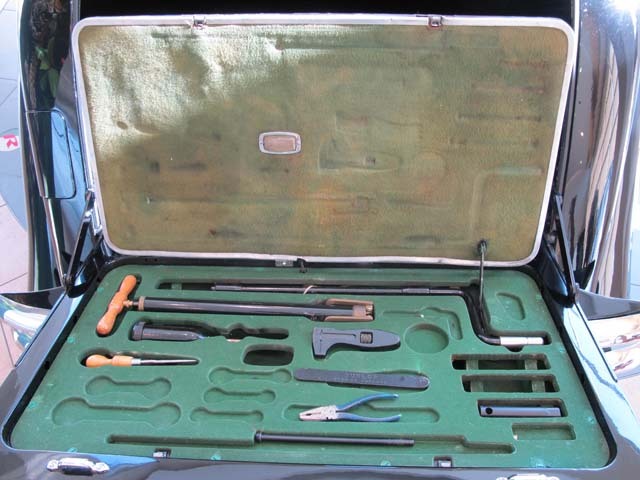 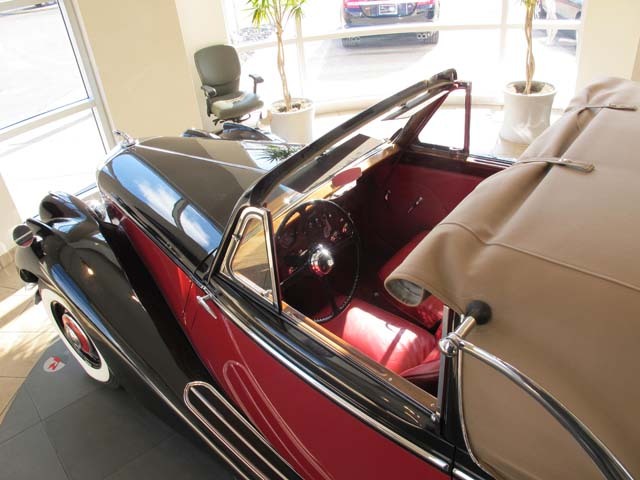 The owner set out to make the car reliable and comfortable to drive. 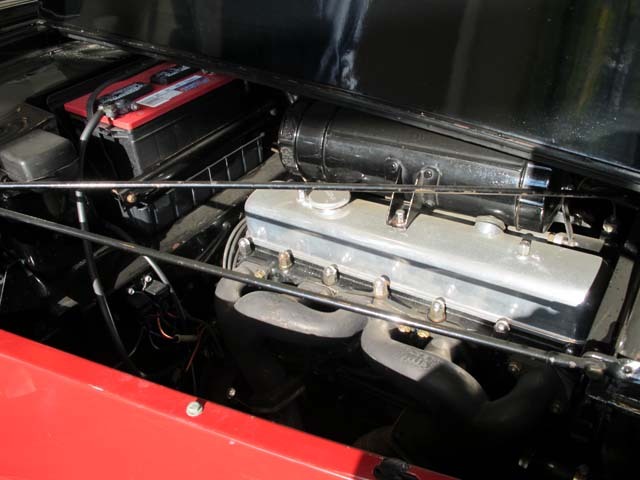 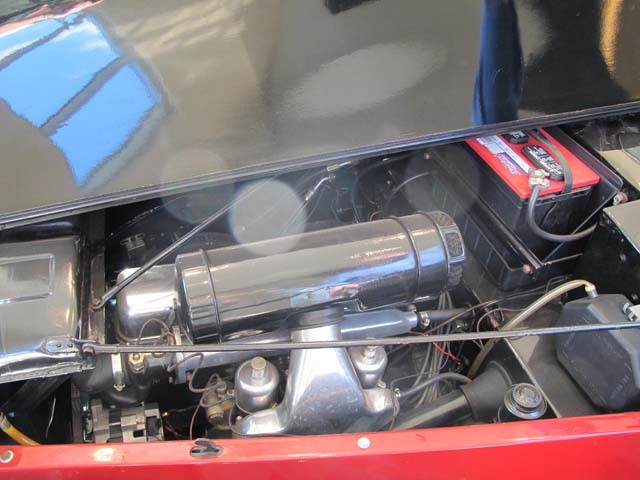 To that end he had the engine rebuilt by a specialist in engine restorations. 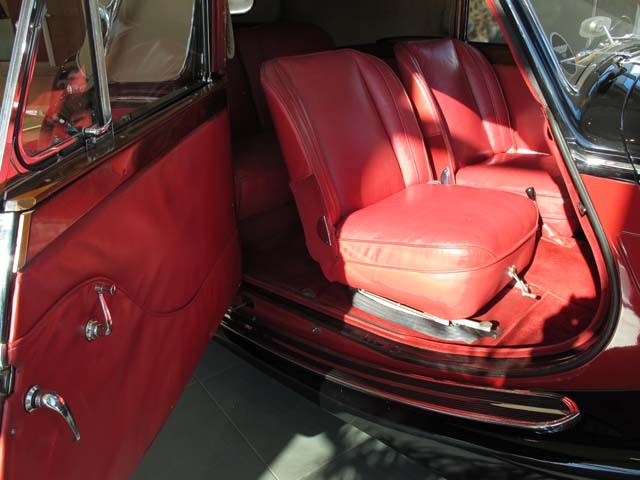 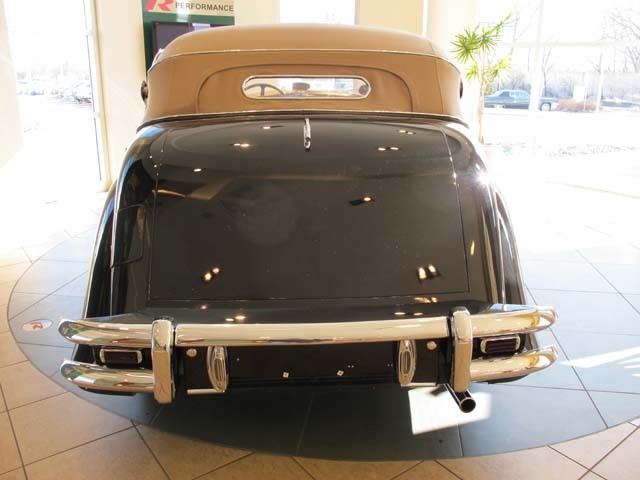 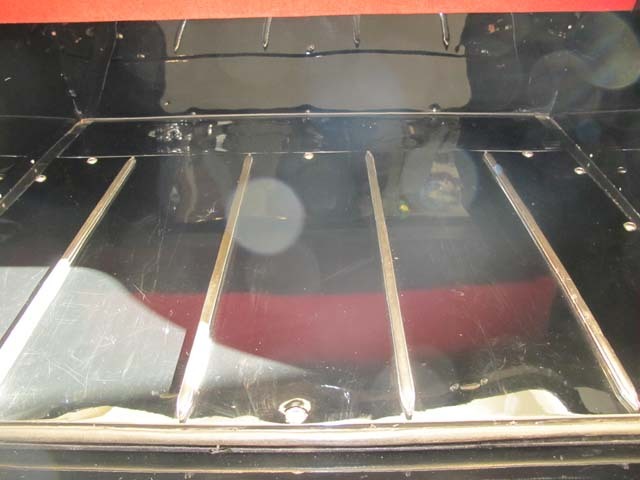 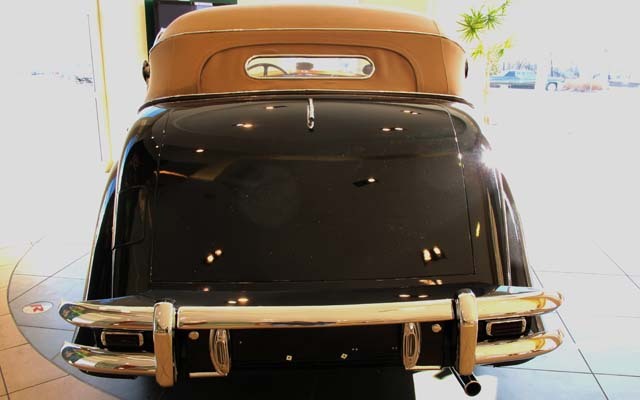 The owner also wanted the comfort of air conditioning without taking away from the cars original look. 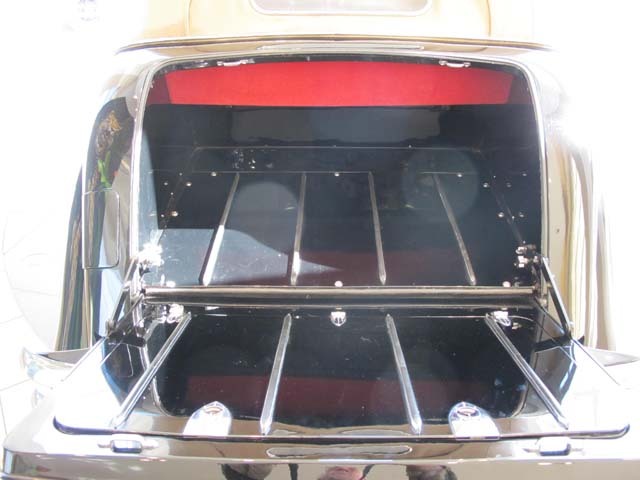 He commissioned a custom made system that’s is designed so well that it looks like a factory installed option. 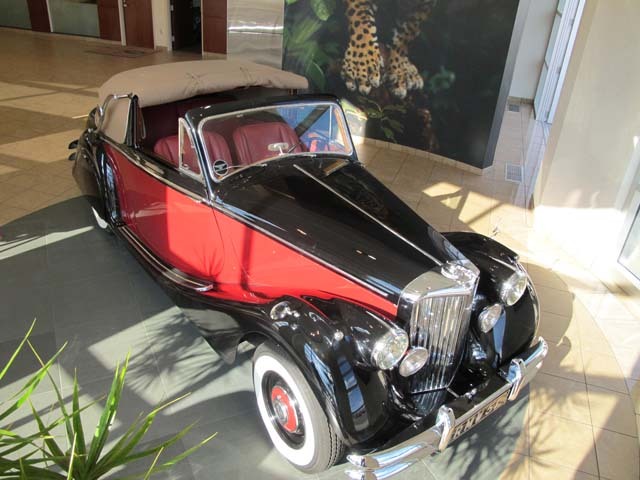 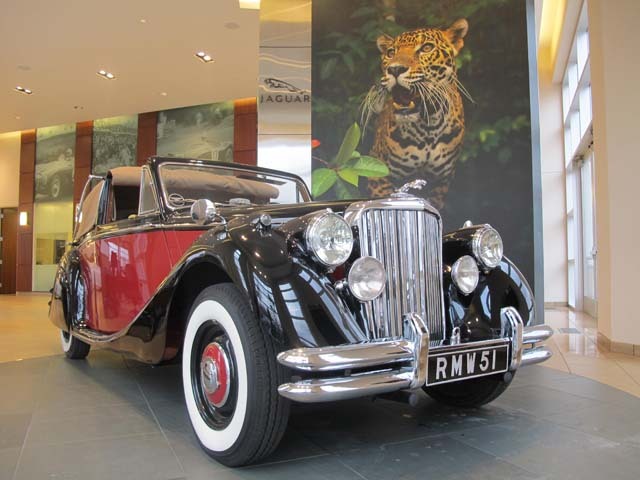 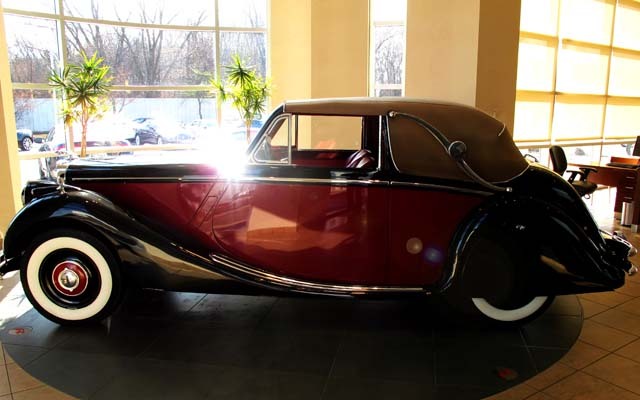 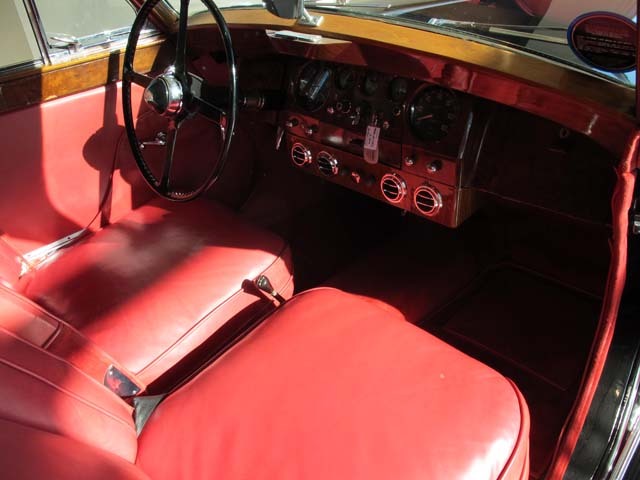 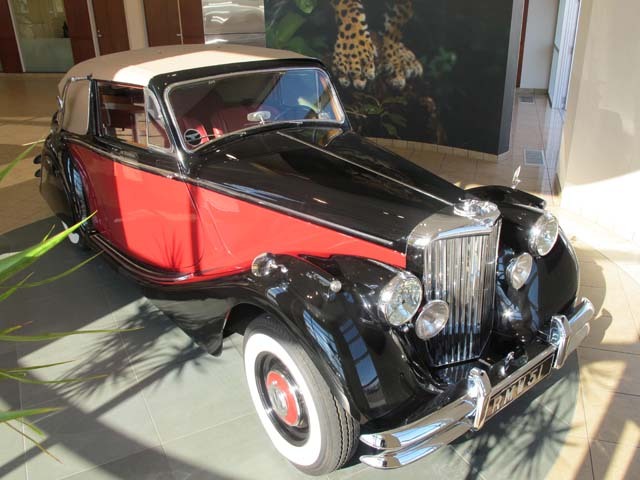 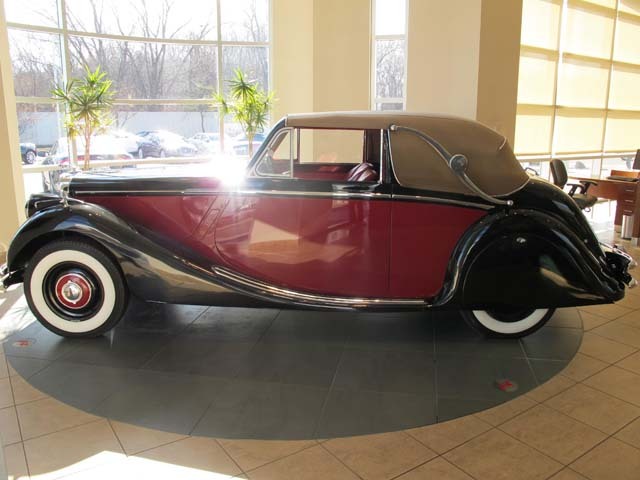 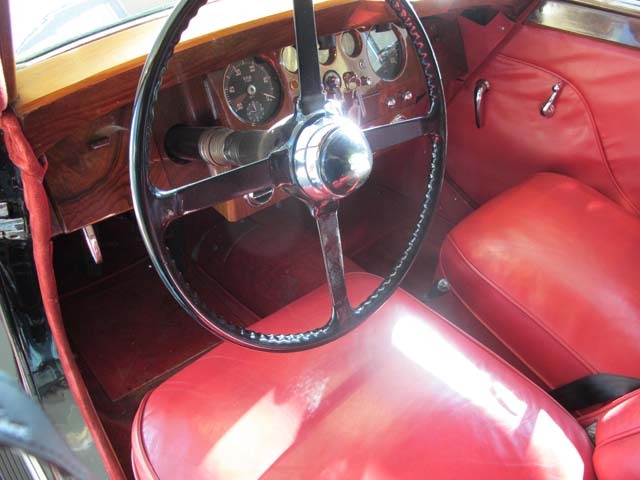 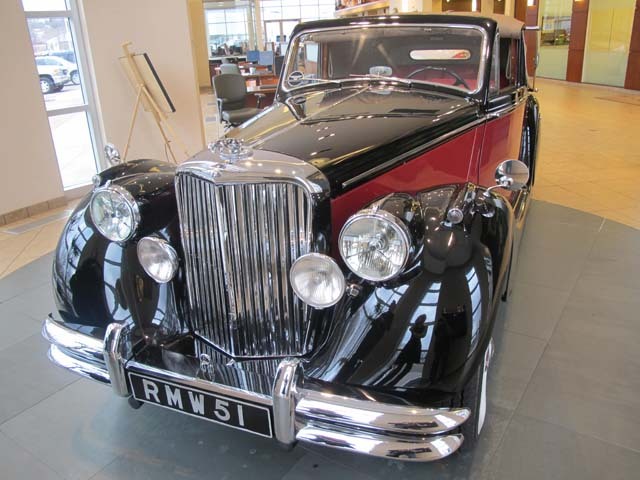 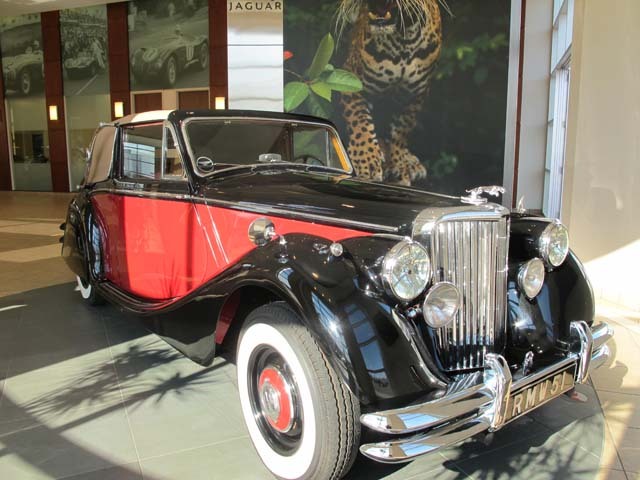 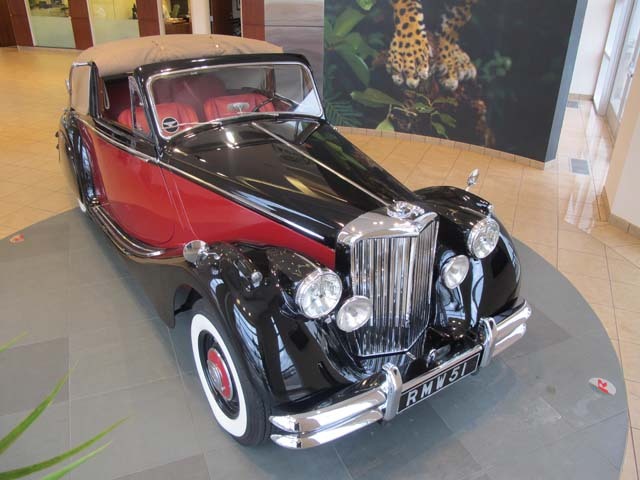 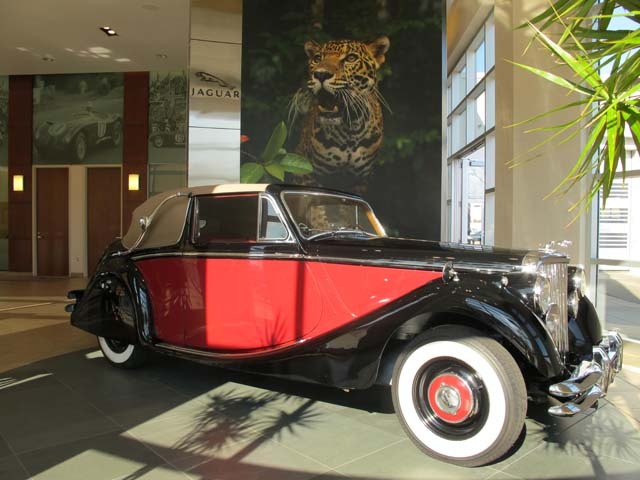 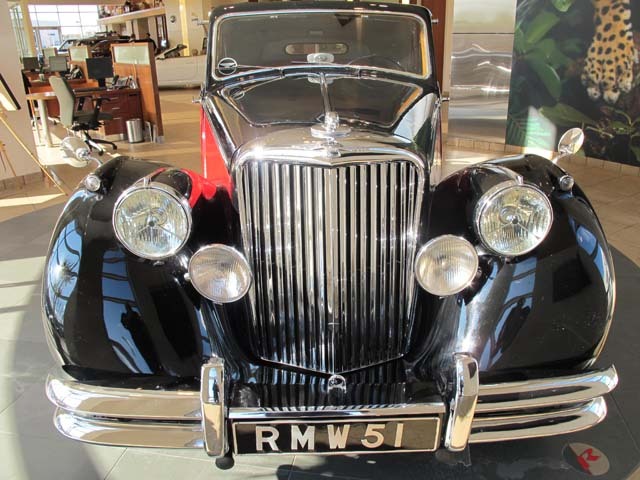 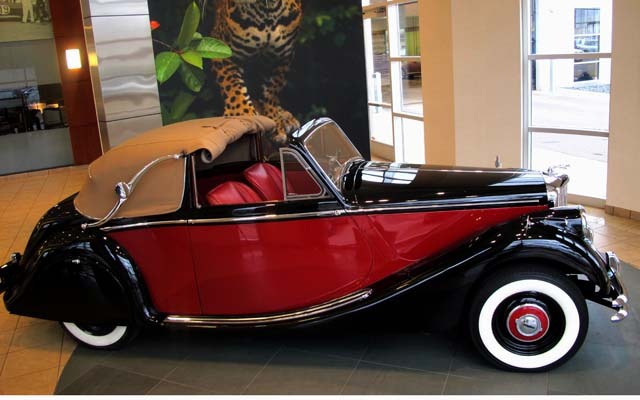 Enjoy driving this wonderful example of classic motorcar in style and comfort. 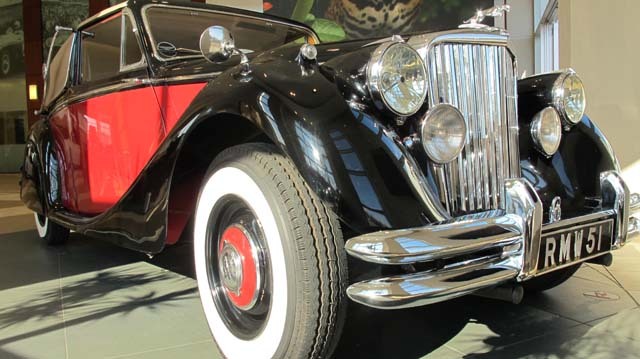 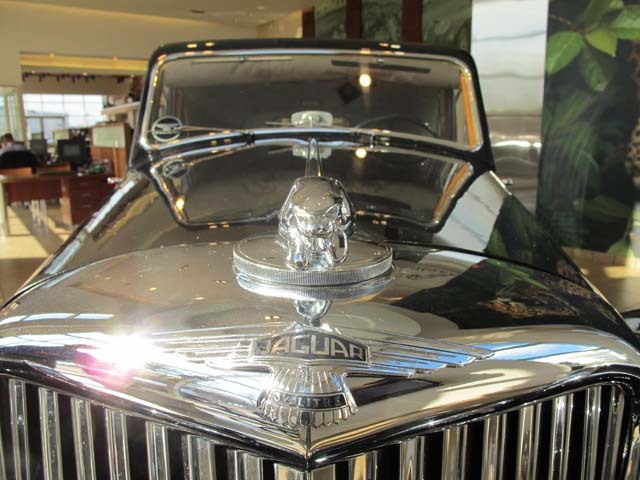 Click here to view the 1951 Jaguar Mark V Drop Head Coupe on YouTube.